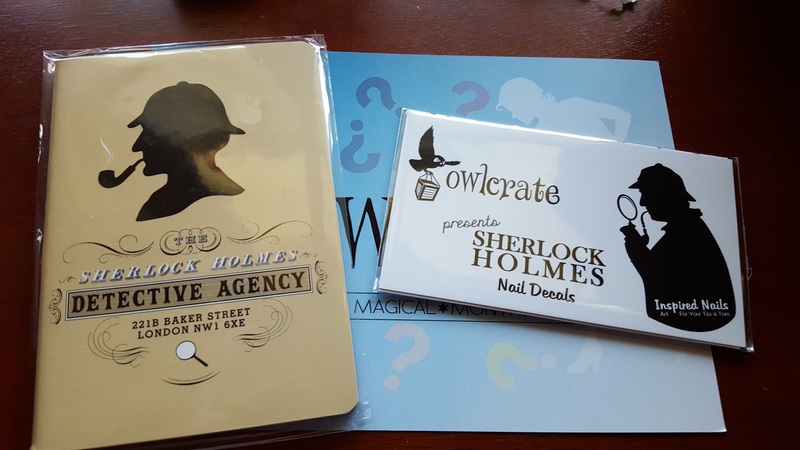 The theme for Owlcrate this month is Mystery. 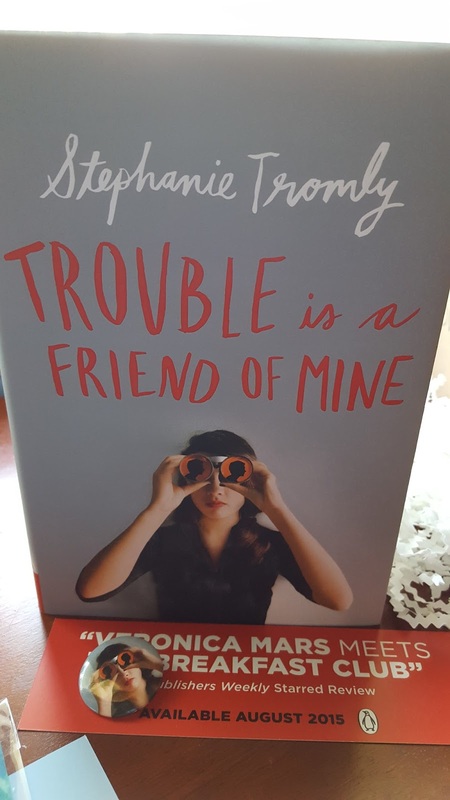 So the book feature is Trouble is a Friend of Mine by Stephanie Tromly. I have heard about this book but didn't have it so now I will have to read it. It also came with a bookmark and button. 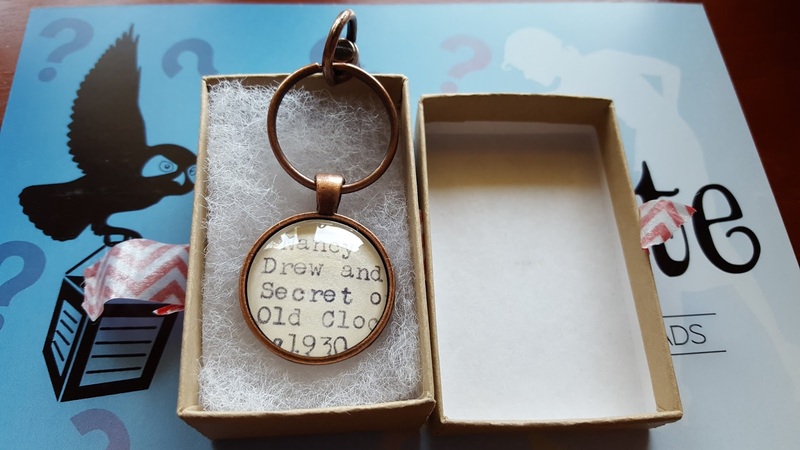 I love Nancy Drew so I was excited about this keychain. I already put it on my keys! 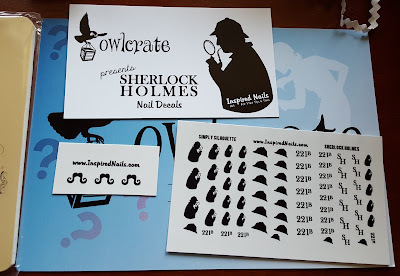 I'm also a fan of Sherlock Holmes and so I adored this notebook that I can write all my people watching observations and then of course some cool nail decals. 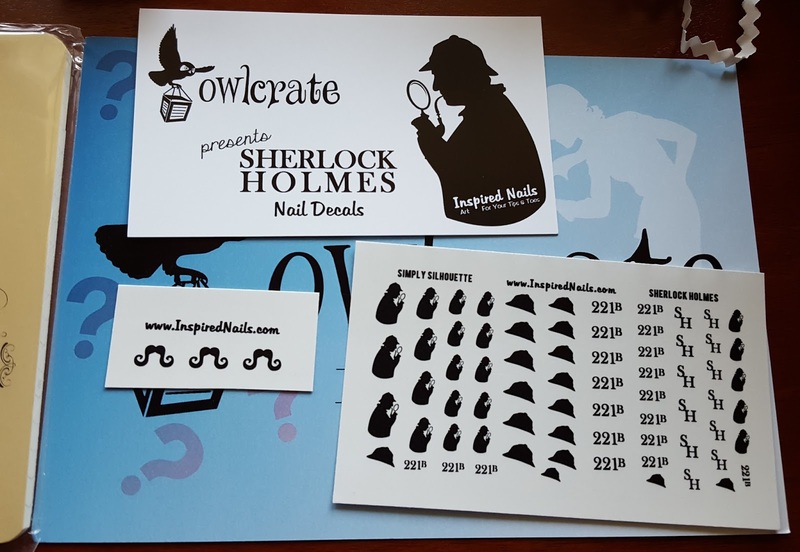 This is what the decals look like. I have to try to put them on. I'm terrible with that stuff. 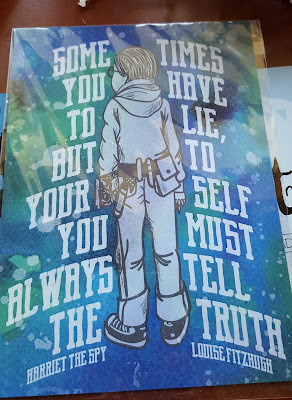 I have never actually read Harriet the Spy but this picture postcard is cute. I loved this month's theme. Can't wait to see what next month is.